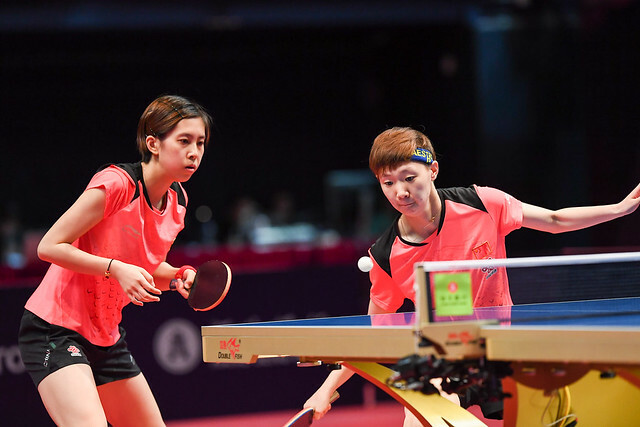 Wednesday 23rd May will play host to the final day of qualification for the Seamaster 2018 ITTF World Tour Hang Seng Hong Kong Open along with the two Under 21 title matches. On a day packed with exciting fixtures, Yu Mengyu’s encounter with Gu Yuting is one of the eye-catching contests set to take place in the final round of Women’s Singles qualification action: this is the first time that the Singapore and Chinese competitors have met face-to-face on the international stage and it promises to be an absolute thriller. Saki Shibata has enjoyed plenty of success so far in 2018 and was a Women’s Singles semi-finalist at the recent 2018 ITTF Challenge Thailand Open. On the second day of qualifying in Hong Kong, Shibata will be presented with another opportunity to impress, however, the task won’t be straightforward with China’s Chen Ke standing in the way. Other matches to look out for in the concluding round of Women’s Singles qualification include Zhang Mo’s match against rising German talent Nina Mittelham and you may want to pay close attention to Elizabeta Samara who takes on one of the stars of the show on the opening day of action, Yana Noskova. Zhang Jike fans will be delighted to hear that the London 2012 Olympic champion is returning to the ITTF World Tour for the first time since November 2017. The popular Chinese star begins his campaign against Italian national champion Niagol Stoyanov, who will be looking to pull off one of the biggest upsets in his career – can he spoil Zhang Jike’s returning party? Looking slightly further down the draw, Jon Persson and Par Gerell will play out an all-Swedish tie in what will remarkably be their first head-to-head battle at an international ranking event while Sathiyan Gnanasekaran of India meets Denmark’s Zhai Yujia in what could prove to be a close contest. As previously mentioned, the second day of action will feature the conclusion to the two Under 21 events with the closing qualifying round of the Men’s Doubles tournament also taking place.